Travel light and take it easy in the TRVL LITE from TOMS. 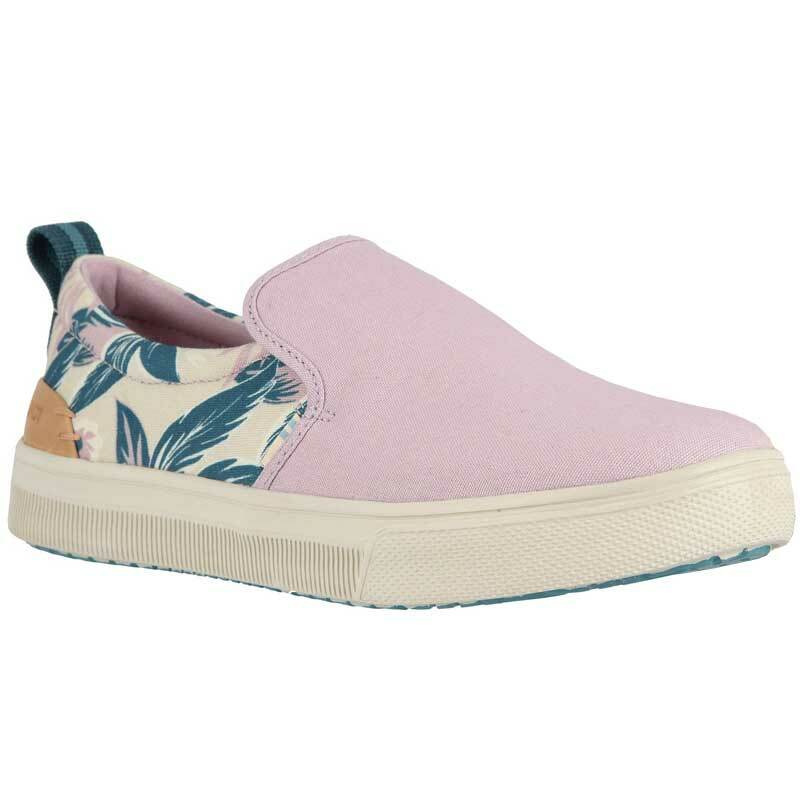 This playful women’s slip-on has a canvas or suede upper with colorblocked style in a trendy sneaker silhouette. The OrthoLite Eco X40 insole offers high rebound for all day comfort and TOM’S TRVL LITE Technology creates superior lightness, traction, and durability. Go places this summer in the lightweight TOMS TRVL LITE. TOMS was founded in 2006 by Blake Mycoskie, inspired by a trip to Argentina where he saw extreme poverty and health conditions, as well as children walking without shoes. That’s when he recognized the traditional Argentine alpargata shoe as a simple, yet revolutionary solution. He quickly set out to reinvent the alpargata for the U.S. market with a simple goal: to show how together, we can create a better tomorrow by taking compassionate action today. To make this mission a reality, Blake made a commitment to match every pair of TOMS purchased with a new pair given to a child in need. One for One. Thanks to supporters, TOMS gave the One Millionth pair of new shoes to a child in need in September 2010. TOMS now gives in over 20 countries and works with charitable partners in the field who incorporate shoes into their health, education, hygiene, and community development programs.